Exactly my thoughts when I first heard of it. 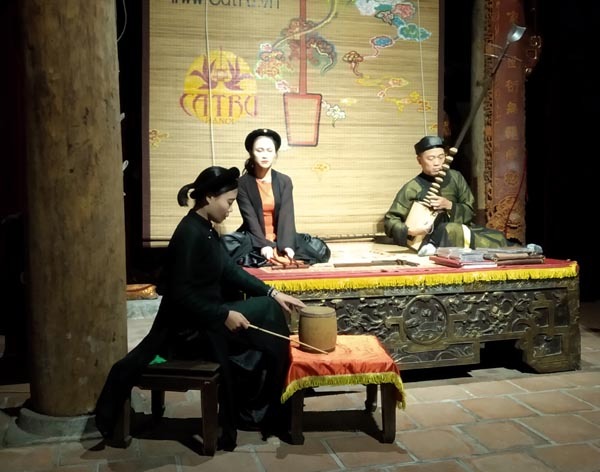 Ca Tru is a long-enduring Vietnamese musical genre reminiscent of an opera. 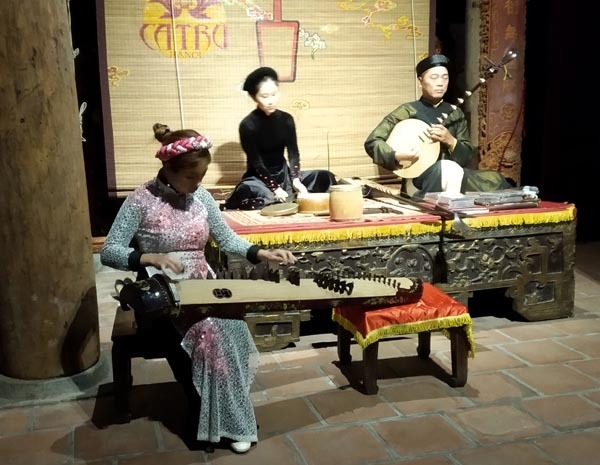 In its heyday when Vietnam was still a kingdom, it used to be an indulgence of royalty and society's elite. The somber sounding music is about love, nature and country. But times have changed. 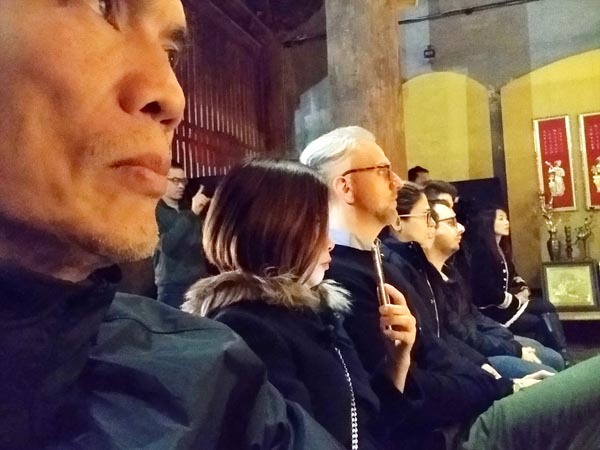 As a musical tradition, its future hangs in precarious balance as veteran performers age and younger people turn to more popular music. Many Ca Trus across Vietnam have closed shop. 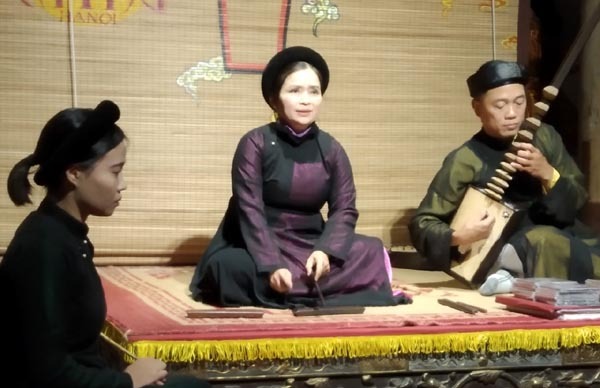 This one in Hanoi is barely surviving with but a handful of audience in its 3x/week performance - 7 people this evening. Tonight's performance was special because a TV crew was present to film the event. The one-hour program consisted of songs, a dance number while several unfamiliar musical instruments were featured. 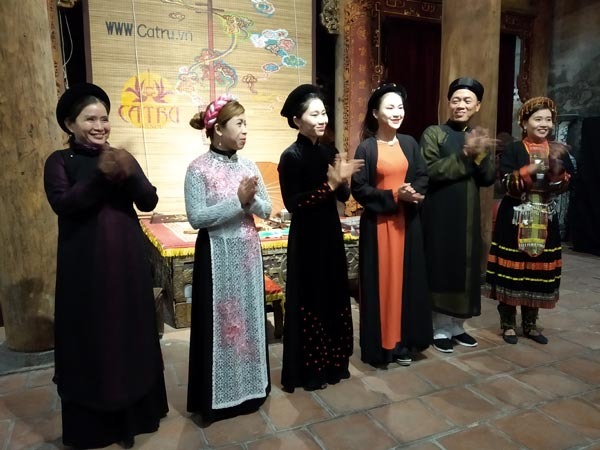 The performers were in colorful traditional clothes and the show was held inside Kim Ngan Temple, Hanoi's oldest standing temple which only added to the ambience and the intimate setting. 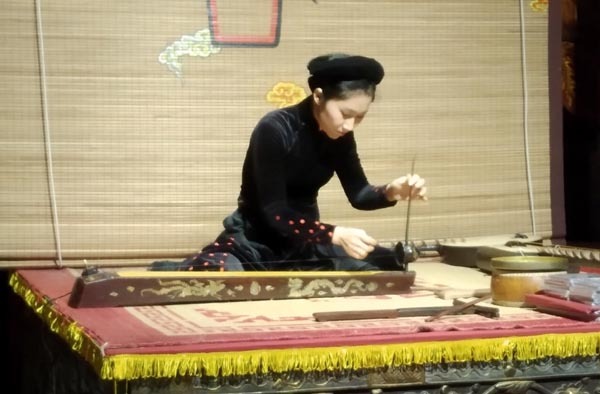 Before a performance, an introduction is made on what the song was about and the unique musical instrument used. This gave us a better appreciation of what the performance was all about. 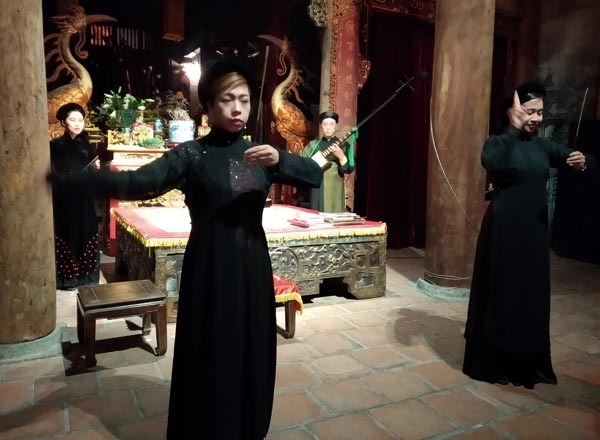 Ca Tru comes alive in Hanoi at the Dinh Kim Ngan Temple through the tireless efforts of the Hanoi Ca Tru Club. All the performers are seasoned with their unique talents, be it a musical instrument, song or dance. 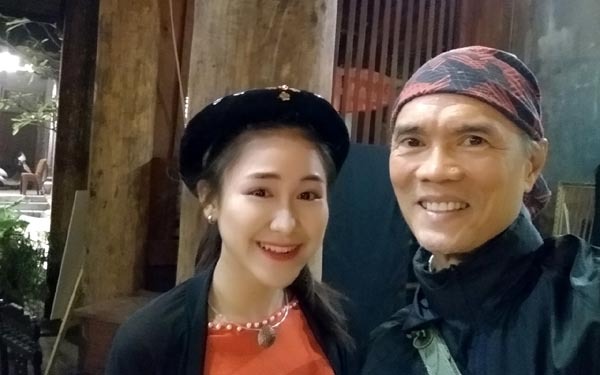 The presence of a talented 16 year old as Ca Tru's youngest performer is a ray of hope to the genre's sustenance - Nguyen Phuong Tra My. Her rendition of the music is both heart-felt and moving. She could be the light at the end of this tunnel. When you see it live and only a few feet away from the performers, the music takes a life all its own. 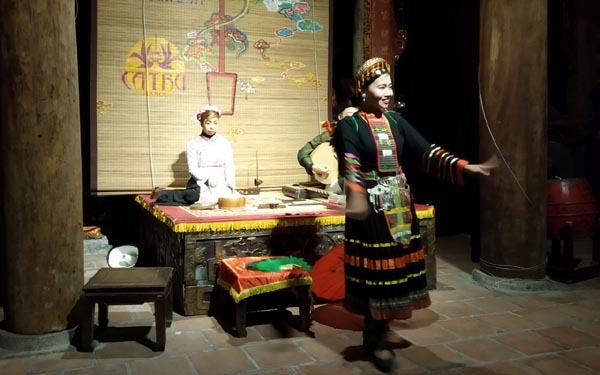 Hanoi could also be your last chance to witness authentic traditional Ca Tru as its presence dims across the country. 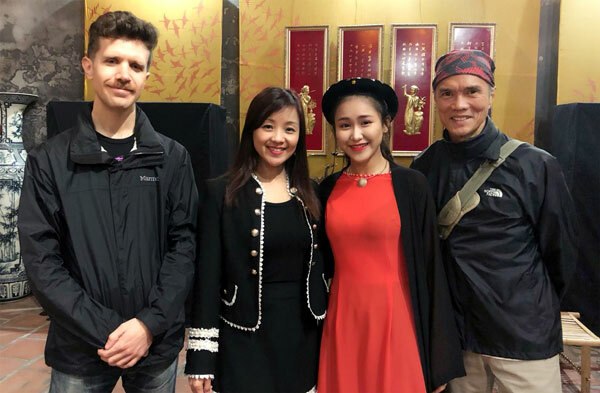 (Jan 21, 2019) Many thanks for putting our story on the page. We are so happy and honored. It came out much sooner than I expected. And special thanks for your appreciations to our arts. From my own observation, about 45% (if not less) of audience really like our Ca Tru and 55% don't have much impression. So each person of the 45% do count a lot for us.